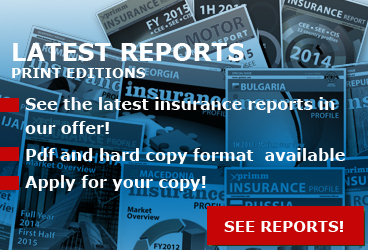 XPRIMM: How do you assess the 2018 results of the Ukrainian insurance market in comparison with the previous year? 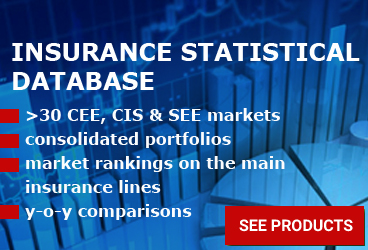 Alexander ZALETOV: In 2018, the Ukrainian insurance market has demonstrated active dynamics both in quantitative and qualitative indicators. In particular, the National Financial Services Committee continued its work aimed at the market cleaning up from unreliable players, which allowed to remove 17 insurance companies from the market. At the same time, despite the reduction of the number of insurers, capitalization of the active players increased. Thus, their assets as of September 30, 2018 went up by 4.7% y-o-y or by EUR 85 million in absolute terms, and insurance reserves - by EUR 94 million or by 13.8%. As of September 30, 2018 current accounts and bank deposits of insurers amounted to 52.8% or EUR 395 million in the structure of insurance reserves, while government securities amounted to 28.6% or EUR 214 million, rights to claim to reinsurers-non-residents - 9.3% or EUR 69 million and real estate - 4.8% or EUR 36 million. The low volume of high-quality stock market resulted in insurers' investments in stocks and corporate bonds of EUR 12 million or totally 1.5% of the insurance reserves. Over the last 9 months the most dynamic growth was recorded in insurance reserves, invested in government securities (+EUR 45 million or by 26.3%), bank deposits (by EUR 36 million or by 12.6%) and rights to claim to reinsurers-non-residents (by EUR 13 million or by 23.3%). This was primarily due to the new requirements for placing of insurance reserves, which are provided under the Regulation on mandatory criteria and standards for capital adequacy and solvency, liquidity, profitability, asset quality and riskiness of the insurer's operations, approved by the order of the National Financial Services Committee No.850 on 07.06.2018. The change of the regulatory framework contributed not only to enhancing the solvency of insurance companies, but also to improving the effectiveness of their investment policy. Thus, for the first 9 months of 2018 insurers received return on investment in the amount of EUR 48 million, including over EUR 30 million of return on deposits and over EUR 15 million of return on bonds. If compared to the first 9 months of 2017 the return on investments of insurers for the same period of 2018 increased by 15.4% or by EUR 6.6 million, at that the return on bonds increased by 24.3% or by EUR 3 million, and return on deposits - by 8% or by EUR 2.3 million. Characteristics and qualification marks of insurance types brought into accordance with practice. XPRIMM: Did 2018 bring any significant changes in the market leadership? As of today, insurers provide not only availability of insurance services for various customer groups and expand their presence in the country regions (33 branches opened), but also create new job opportunities with tax deductions, including taxes to local budgets. In particular, for January-November 2018 insurers paid income taxes in the amount over EUR 33 million, which is 19.2% more y-o-y. 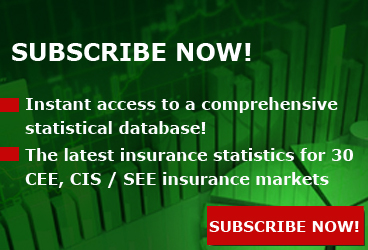 XPRIMM: How much, in your opinion, has insurance developed in the country, if compared to other markets? What prospects for international cooperation would you point out? Alexander ZALETOV: For the first 9 months in 2018 non-banking financial institutions demonstrated an active growth of services to population as well as services to small and medium-sized businesses. Total amount of non-banking financial services reached EUR 3.33 billion, which is EUR 658 million or 24.6% more y-o-y. Thus, during that time financial companies, pawnshops and credit unions issued more than EUR 1.16 billion of loans (+EUR 217 million or 22.8% y-o-y). The lessors concluded financial leasing contracts for the amount of EUR 534 million (+EUR 254 million or 89.6%). Financial companies provided factoring services in the amount of EUR 848 million (increase by EUR 172 million or by 25.4%), guarantees and sureties of almost EUR 241 million (increase by EUR 133 million or by 125.4%). In 2018 insurance companies saw an active growth of services to population, as well as to small and medium-sized businesses. In particular, GWP from individuals for the period of January-September 2018 amounted to EUR 404 million, and from legal entities - EUR 649 million. This allowed growth of insurance services by 20.5% and by 5.9% accordingly. Besides, claims paid to individuals went up by 20.2%, and to legal entities - by 16.3% (thus, paid claims amounted accordingly to EUR 130 million and EUR 124 million). 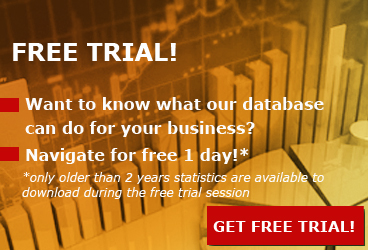 As a result of regulatory influence and the market conditions, insurance companies placed 30% to deposits in state banks, 40% - in banks with foreign capital and risks of their clients were ceded in reinsurance to the most reliable reinsurers mainly from such countries as Switzerland, Great Britain, Germany, Poland, Austria, France and the USA. XPRIMM: How would you describe the market plans and expectations for 2019? 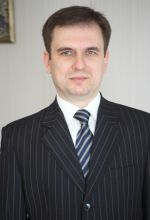 Alexander ZALETOV: In 2019 the National Financial Services Committee will focus its attention on solving tasks aimed at improving state regulation in part of financial monitoring, settlement of reinsurance operations, strengthening measures for problem and insolvent insurers, settlement at transfer of insurance portfolios, conducting stress-testing of insurers, establishment of requirements for audit reports. Changes of MTPL tariffs are at the final stage of approval, they provide for 30% increase of the insurance limits and change of correlating coefficients. Earlier this year, the National Financial Services Committee developed draft laws of Ukraine "On creation of a guarantee system for insurance indemnities under life insurance contracts" and "On compulsory civil liability of vehicle owners" and is planning to register the laws at the Verkhovna Rada of Ukraine. In addition, one of the priority tasks is development of the draft law of Ukraine "On insurance distribution", which should bring into order activities of intermediaries on the insurance market.